Trying to summarize a technology space as varied as that covered in two days at the Search Engines Meeting in Boston, April 26-27, is a challenge and opportunity. Avoiding the challenge of trying to represent the full spectrum, I’ll stick with the opportunity. Telling you that search is everywhere, in every technology we use and has a multitude of cousins and affiliated companion technologies is important. The Gilbane Group focuses on content technologies. In its early history this included Web content management, document management, and CMS systems for publishers and enterprises. 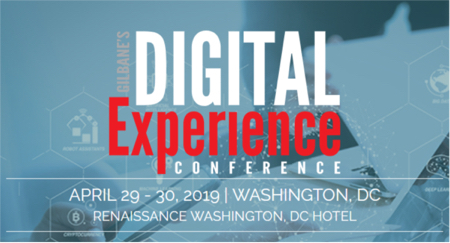 We now track related technologies expanding to areas including standards like DITA and XML, adoption of social tools, plus rapid growth in the drive to localize and globalize content; Gilbane has kept up with these trends. My area, search and more specifically “enterprise search” or search “behind the firewall,” was added just over three years ago. It seemed logical to give attention to the principal reason for creating, managing and manipulating content, namely finding it. When I pay attention to search engines, I am also thinking about adjoining content technologies. My recent interest is helping readers learn about how technology on both the search side and content management/manipulation side need better context; that means relating the two. If one theme ran consistently through all the talks at Enterprise Search Meeting, it was the need to define search in relationship to so many other content technologies. The speakers, for the most part, did a fine job of making these connections. Bipin Patel CIO of ProQuest, shared the technology challenges of maintaining a 24/7 service while driving improvements to the search usability interface. The goal is to deliver command line search precision to users who do not have the expertise to (or patience) to construct elaborate queries. Balancing the tension between expert searchers (usually librarians) with everyone else who seeks content underscores the importance of human factors. My take-away: underlying algorithms and architecture are worth little if usability is neglected. Martin Baumgartel spoke on the Theseus project for the semantic search marketplace, a European collaborative initiative. An interesting point for me is their use of SMILA (SeMantic Information Logistics Architecture) from Eclipse. By following some links on the Eclipse site I found this interesting presentation from the International Theseus Convention in 2009. The application of this framework model underscores the interdependency of many semantically related technologies to improve search. Tamas Doszkocs of the National Library of Medicine told a well-annotated story of the decades of search and content enhancement technologies that are evolving to contribute to semantically richer search experiences. His metaphors in the evolutionary process were fun and spot-on at a very practical level: Libraries as knowledge bases > Librarians as search engines > the Web as the knowledge base > Search engines as librarians > moving toward understanding, content, context, and people to bring us semantic search. A similar presentation is posted on the Web. David Evans noted that there is currently no rigorous evaluation methodology yet for mobile search but is it very different than what we do with desktop search. One slide that I found most interesting was the Human Language Technologies (HLT) that contribute to a richer mobile search experience, essentially numerous semantic tools. Again, this underscores that the challenges of integrating sophisticated hardware, networking and search engine architectures for mobile search are just a piece of the solution. Adoption will depend on tools that enhance content findability and usability. Jeff Fried of Microsoft/Fast talked about “social search” and put forth this important theme: that people like to connect to content through other people. He made me recognize how social tools are teaching us that the richness of this experience is a self-reinforcing mechanism toward “the best way to search.” It has lessons for enterprises as they struggle to adopt social tools in mindful ways in tandem with improving search experiences. Shekhar Pradhan of Docunexus shared this relevant thought about a failure of interface architecture and that is (to paraphrase): the ubiquitous search box fails because it does not demand context or mechanisms for resolving ambiguity. Obviously, this breaks down adoption for enterprise search when it is the only option offered. Many more talks from this meeting will get rolled up in future reports and blogs. I want to learn your experiences and observations about semantic search and semantic technologies, as well. Please note that we have posted a brief survey for a short time at: Semantic Technology Survey. If you have any involvement with semantic technologies, please take it.